We survived another Black Friday. This year there really wasn’t anything in particular that I needed, so we didn’t camp out all night or anything like that. Sarah mainly wanted lots of movies, so we did get to Wal-Mart an hour before they opened. I think she ended up with somewhere around 9 movies and the cost was under $25. Not bad if I say so myself. I myself picked up the latest Indiana Jones for $9, Interview with the Vampire for $2, and at Toys R Us a guitar for Guitar Hero at $10. I was surprised at that price Toys R Us still had some left by the time we got there. The one part that I really hate about Black Friday is how rude people can be. This is supposed to mark the first day of the Christmas season which is generally a time that people are nicer to each other. 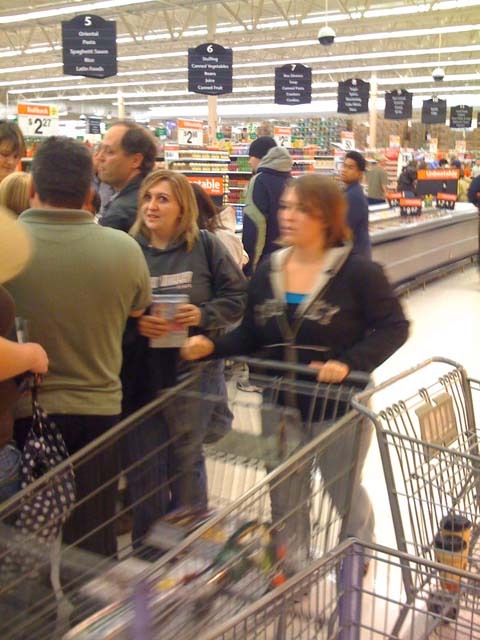 Instead you get people pushing, shoving, and yelling at each other just to get a good deal. 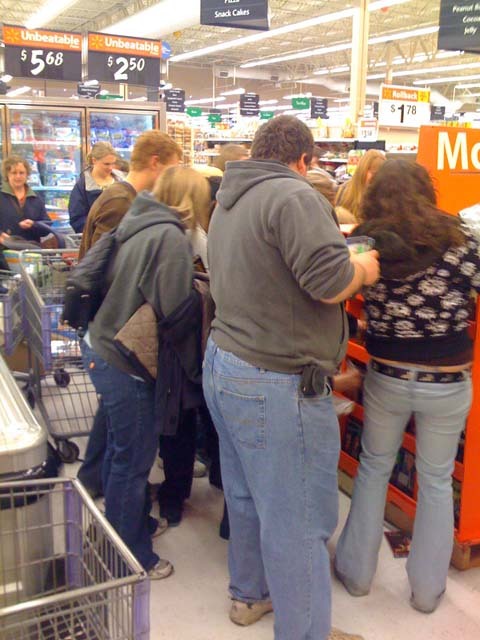 The stores bring this upon themselves by only getting a handful of the big items that people want. I couldn’t believe it when I read that a man was trampled to death at a Walmart in N.Y. and two people shot to death at a Toys R Us in CA. Stuff like that really makes me sick. And it was all done in the name of getting a bargain. I myself try and be extra friendly at this time especially to the workers. I know I would absolutely hate this day if I worked in the retail industry. If you get the deal great and if not many times you can wait until after Christmas and get the same item for about the same price. Anyway I do enjoy Blackk Friday and look forward to it, but many people need to not take it so seriously. It is just stuff that can be purchased later if you really need it. Hope everyone has a good Cyber Monday.